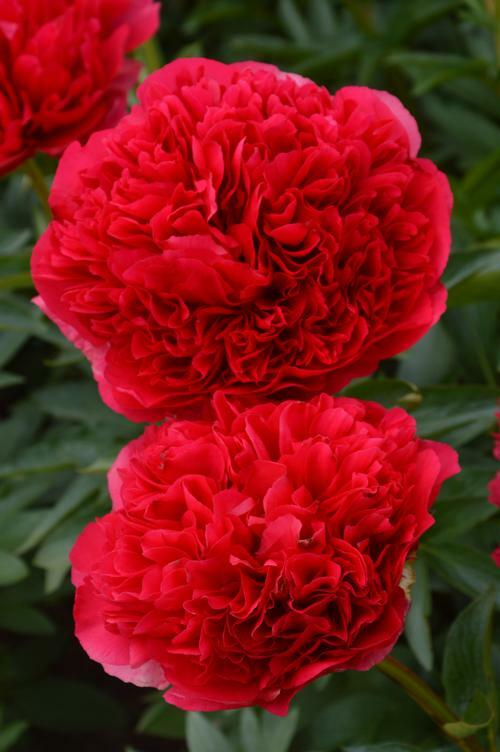 Mid, fully double bomb type flowers are cardinal red and can measure up to 9" across, blooms have a spicy fragrance and stems are sturdy when using for fresh cut flowers. Planting Depth: Plant so eyes are 1-2" below the soil surface. If too shallow, the crown and eyes might dry out when exposed to intense spring sun. Prune root tips if necessary to obtain proper planting depth. Temperatures: Grow cool at 45-55F until new fibrous roots are visible. Growing too warm too quickly will result in plants developing without a root structure to support it. This may cause plants to wilt or leaves to curl during high spring temps. Watering: Allow pots to dry slightly between watering. Good drainage is a must. Diseases: Botrytis is the primary culprit of buds not opening and turning black. Keep foliage dry during watering, especially during cool weather. Use fungicides to control outbreaks.